With the Union Budget of India to be announced soon, this series news analyses how the budget can tackle some of the important challenges within employment today. Here we look at how India's skill building initiatives can be honed better by the Budget. The annual budgeting ritual is of great importance. Be it for individuals, small companies, or large conglomerates all understand the importance of prioritizing needs and allocating their collective wealth towards such priorities. One important difference that stems into such planning is the increasing complexity across each level; the more and diverse priorities that one has to deal with, the more complicated does budget allotment become. Hence when it comes to country allotting its budgetary spending through the year, sit crucial to note how key economic issues are being addressed. India today stands at a juncture where its working population, with almost 5 million more entering the labour market looking for jobs. There is a large chance that such employment would be gained in the unorganised sector as almost 90 percent of the total working population finds itself employed in the informal or organised sector. For the remaining, it remains a tough battle which would test their mettle by assessing their qualifications. In a recent report by the Centre for Monitoring Indian Economy (CMIE) has revealed that almost 11 million Indians lost their jobs in 2018. As India's unemployment rate grew to 7.4 per while a recent ILO report states that most new jobs being created fall within what can be called “vulnerable jobs” as their low skill requirement means easy replacement. Previous years have also witnessed mass layoff within sectors like IT due to changing skill requirements. Many who survived such exodus where faced with the need to reskill and adapt to the newer way to work. In a world of rapidly changing workplaces, newer technologies are fast replacing the old ones, leaving in their wake disrupted business processes and a rapidly changing skill preferences form a business point of view. The new jobs that are being created don’t necessarily look like their predecessors and often require qualifications, many of whose importance is still to be realized by many educational and skilling institutions. The pressure on India’s workforce to adapt to such changes and build the required skills has never been more. This is the reality that the 2019 Union budget should seek to address. The newly appointed government in 2014 set job creation as one of the most important economic goals to meet. But as any economic graduate would attest to, modern-day economies are a collective of various pull and push forces ( demand and supply as such graduate would go on to explain). Realising this, the government set out to launch initiatives which were multi-faceted. It launched Make in India, an attempt to boost domestic manufacturing, while Digital India and Startup India were to provide a healthy ecosystem for new age tech-driven companies to arise. In addition to contributing to the growth of the country (in terms of GDP), such initiatives were also directed toward creating more jobs. These, among many other similar initiatives like MUDRA loan schemes, were to strengthen the pull forces of labour employment. India’s Skill India mission was to be the push force. A way to ensure the working population is skilled enough or has access to skilling programs, that enables them to get well paying, satisfying jobs. Looking at previous budgets, the focus on ensuring skilling programs becomes available and accessible to masses has been clear. In 2017, over 17,000 crores was reportedly allotted to ensure Skills India Mission was effective in ensuring proper results. This renewed focus in the budget that year also led to other aspects which were further developed. An initiative like SANKALP (Skill Acquisition and Knowledge Awareness for Livelihood Promotion Programme)— the biggest initiative under the programme— was launched of at an investment of Rs 4,000 crore. The aim of this was to provide relevant training and skill-building opportunities to over 350 million young people. Besides, the Ministry of Skill Development and Entrepreneurship, the nodal agency that looks at smooth running of India’s skilling initiative, also added it would set up 100 India International Skills Centres that will conduct advanced courses in foreign languages to help youngsters prepare for overseas jobs. In previous years this focus was reflected in how NITI Ayog set up a national programme to foster skill acceleration in areas of AI, robotics, machine learning. Looking ahead, the threat to jobs that newer technologies posses still remain a very real threat in front of India’s bulging labour market. In order to build on what’s been achieved in previous years and to address the problem of lack of skills, it's important to look at skilling as a part of the larger investments that are put into education. Increasing budgetary spending on education and bringing in qualitative goals, in addition to quantitative ones could help the country address its skills problem from the very root. A bottom approach. High school and graduate level education can be geared towards more relevant skill building by increasing spending on creating necessary infrastructure in addition to upgrading the relative importance given to how graduate and technical courses are taught in India. 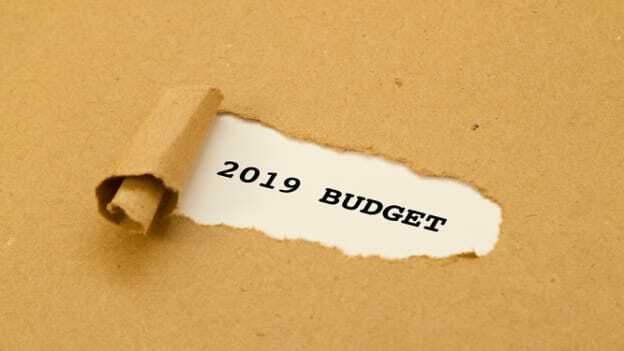 The 2019 budget is also favourably positioned to take concrete and significant steps towards the alignment of the education system with industry needs, and therefore focusing more on qualitative standards. Incentives can also help bring in private players to help build training programs in partnerships with universities, a trend followed in many developed countries like the US and Singapore. As budgetary subsidies can be used to introduce incentive structures into the market, skill development initiatives might find the right boost by creating an incentive to start more e-learning platforms. These can be companies that create easily accessible learning content to meet the needs of the working populace while tapping into latest methodologies to make skilling an engaging and productive force. The budget can also help create provisions for good quality learning platforms that are tuned to needs of reskilling the need of which, as time continues, is going to expand within the currently employed population. The Economic Survey 2014-15 stated that as per the Labour Bureau Report 2014, the present skilled workforce in India is only 2 percent which is much lower when compared to other developing nations. Although we have moved ahead of the urgency to address the growing skills need require creative thinking to pull on the right levers and use policies to create a more holistic impact on skill building in India.